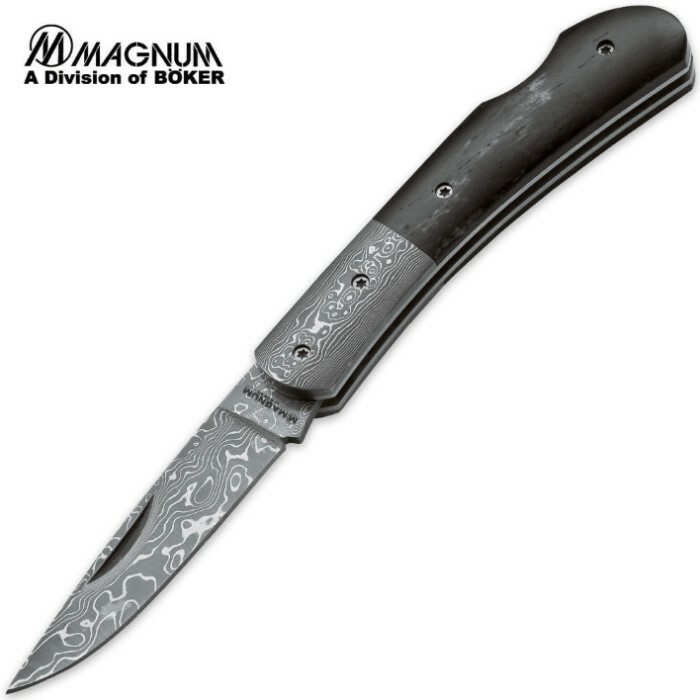 Boker Magnum Black Bone Damascus Pocket Knife | BUDK.com - Knives & Swords At The Lowest Prices! 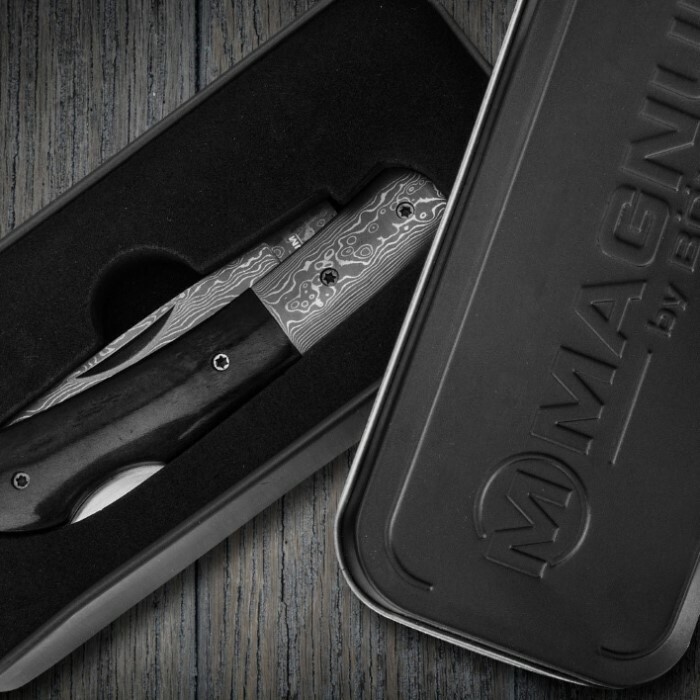 This Boker Magnum Folder is a breathtaking piece, featuring handsome black bone handles with Damascus bolsters and blade. It also features a sturdy back lock mechanism. Classic beauty at its best!